The Bembridge Redwing was first design by Charles E Nicholson and built by Camper & Nicholsons. The design and rig has changed over last 117 years. The yacht measures 27ft 11” and has a beam 5ft 6” with a 3ft 3” draught. The sails are red in colour with an area that is restricted to 200 square feet. The current fleet of some 35 yachts compete regularly at Cowes Week and can often be seen racing off the coast of St Helens and Bembridge on the Isle of Wight. 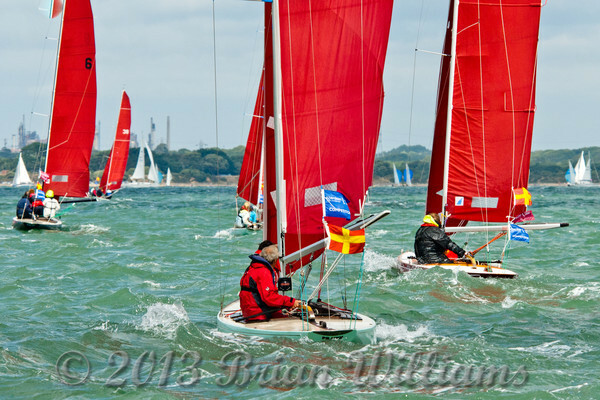 The Redwings are part of a fleet of three classes of keelboat which also includes Bembridge One Design and Illusions raced at Bembridge Sailing Club. Cowes week 2013, day 2, Bembridge sailing club "Redwings" competing on the second day of Cowes week 2013.